One day in August, I received a very flattering email from one of my knitting idols. The wonderfully clever Kate Atherley emailed to tell me she and Kim of indigodragonfly were in cahoots on a pattern collection, and might I be interested in knitting a sample for them? Gee, let me see, one of my favourite designers paired up with one of my favourite indie dyers…how could I possibly resist? The collection included a hat, a shawl, fingerless mitts and lacy socks, all interesting, but still easy to knit. Kate asked if I might be up for the socks. I picked up the yarn from Kim at her annual Fibre Fling that weekend (Merino Nylon Sock in a heavenly orange called “Safety Pin or Safety Pint: Discuss”) and cast on before the weekend was out. The one catch? The whole project was sooper seekrit so my morning Starbucks ritual of tweeting my WIPs was out. No progress pics posted to Rav…nada. Flying the friendly skies…in seekrit! As with all of Kate’s patterns, it was easy to follow and I encountered no issues. Once they were completed, I was in love! Awesome colour…adorable heart-shaped lace pattern down the outside of each sock. People stopped me when I knit it public and asked to see them. It pained me to turn them over to Kate when I was done. I am seriously considering another pair in a skein of the same base I have in a special edition, charity colourway called “Canoe Up To The Beer Store”. The rest of the Rock ‘n Roll Collection is great as well. I have at least one other item planned from that collection. 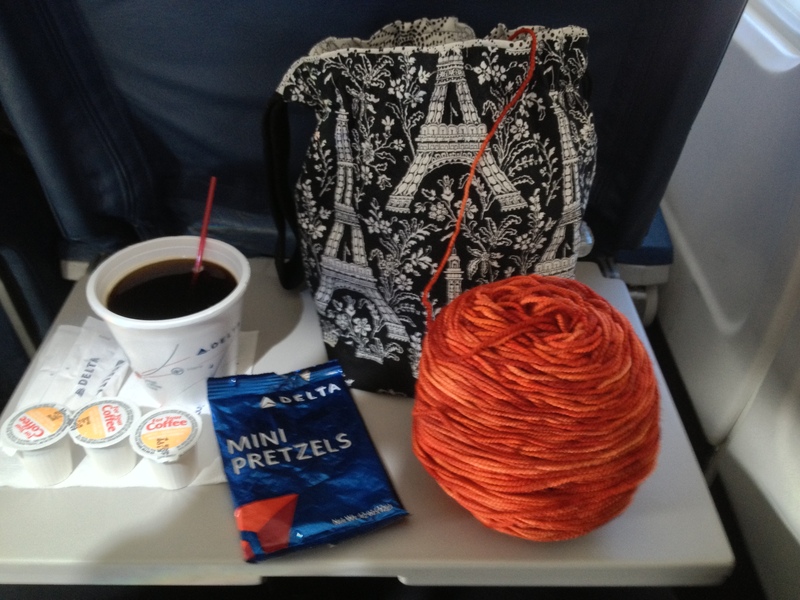 So many things to knit…so little time. Were There Changes Made To The Pattern? None – that would defeat the purpose of a sample knit. Would I Make Another? : Definitely…finding the time is another story. 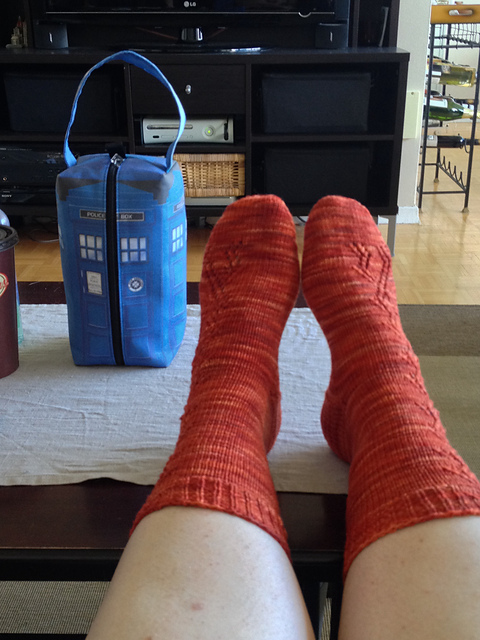 This entry was posted in Uncategorized and tagged fo, hofner, indigodragonfly, kate atherley, knitting, lace, merino nylon sock, sample knitting, socks, testknitting by Rayna. Bookmark the permalink.